Ultra-lightweight track spikes, with just enough Boost padding to stay comfortable. I use these for speedier track work. A lightweight shoe perfect for speed-work, I use these for most of my track sessions and also mile to 5K races. 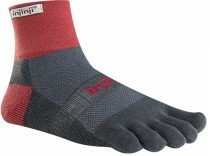 Features a very grippy outsole and minimal but responsive cushioning. Also has a lower drop than most adidas shoes, so works those calves! Almost as lightweight as the Takumi Sen, but with a tiny bit more cushioning and a slightly less aggressive heel/toe drop. A perfect racing flat for 10K distances. Probably my favourite, most versatile shoe. A lightweight trainer for when I want some cushioning without too much extra weight. I use these for most easy and long runs, and they’re also my marathon shoe. Sits perfectly between the racier Adios and the heavier Supernova Glide. 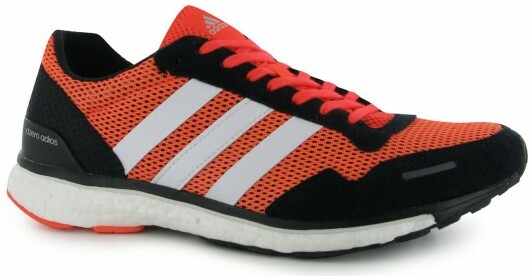 Like my other adidas shoes has the great Boost midsole and grippy Continental outsole. My recovery run shoe, well cushioned without being too soft, and with the excellent Boost midsole. Super-comfortable at any distance, and the Continental outsole provides good grip in the wet. Great trail shoes that can also cope with pavements. I live in London so getting to any trails always requires a bit of road running. These shoes are comfortable on hard surfaces, but also feature decent sized lugs to give plenty of grip on the mud. The integrated gaiters also help keep dirt and stones out. 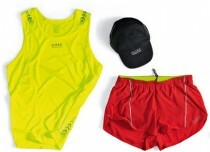 Gore Running Wear isn’t cheap, but the fit and quality is unbeatable. Every item I own is really well made and perfectly designed, and even after several years of heavy use still looks like new. I’m a particular fan of their WindStopper and Gore-Tex Active materials for keeping the wind and rain out in the winter. While Gore remains my favourite clothing adidas also make some great stuff. Their Climachill tops seem a little gimmicky but to my surprise they do genuinely seem to help with cooling. I also like the Techfit base layers which are very comfortable and a bit more reasonable than 2XU tops. Light, comfortable and reasonably priced, these are my go-to shorts for mild to hot weather. No particularly fancy features, just a comfortable pant-lining and a pocket at the back that fits an iPhone, keys and a few cards. Unfortunately Nike seem to have discontinued them, which makes me very sad. I’m not really sold on the benefits of compression wear for recovery, but as base layers in colder weather I love my 2XU tops. I use the Elite version in cooler weather, and the Thermal version for when the temperatures really plunge. Ultra-comfortable socks that prevent the small blisters that used to appear on the tips of my toes occasionally with other socks. Keeping the toes separate also seems to help keep my feet cooler in the summer. I use a mix of original weight socks for shorter runs, and midweight socks for extra comfort on longer runs. 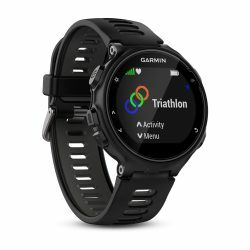 Essentially a 630 with added optical HRM and multisport functions, and minus the touchscreen, the 735XT is exactly the watch I was waiting for. GPS accuracy is good, and it has just about every feature you could ask for, including a very useful option for the lap time to be read out every time you hit the lap button. The built-in optical HRM is really handy, and means there is one less thing to forget when I pack my running bag. I’ve had no end of problems with HRM chest straps, and I’m convinced optical HRM is the way forward. 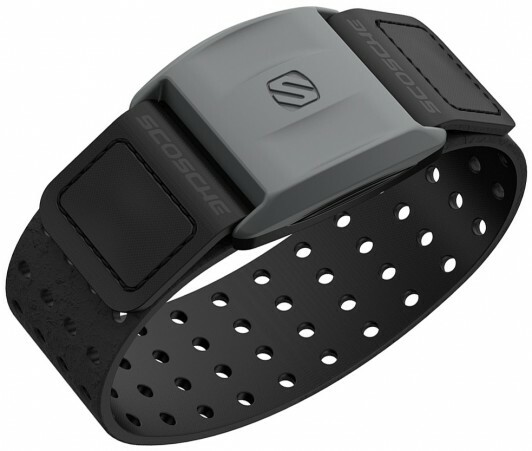 The Scosche RHYTHM+ provides a consistent and accurate heart rate measure in all conditions, and tucks away under your shirt sleeve so you don’t look like you’re wearing two watches! After several years using the great Plantronics BackBeat 903+ headphones I upgraded to the Fit version, which are much lighter and more waterproofed. Audio quality isn’t amazing, but I mainly listen to podcasts so that isn’t a big issue. They sit in the ear but don’t seal like some earphones, so you can still hear traffic and other dangers around you. I like wearing glasses while running no matter what the conditions, as it keeps the wind out of my eyes, and helps stop sweat running down. The Fast Jackets are great as you can quickly swap out lenses – I have clear ones for dark conditions, photochromic ones for use at most other times, and crazy orange polarised ones for races. Expensive but great quality hydration pack, over-enginered with every feature you could imagine. It’s still the only backpack I have found that I can comfortably run with even when it’s packed full of stuff. Lightweight belt that carries a small 250ml soft flask – perfect for long winter runs where I don’t need much water, but it’s nice to have something on me. Also has a pocket for my phone, and is very comfortably padded. 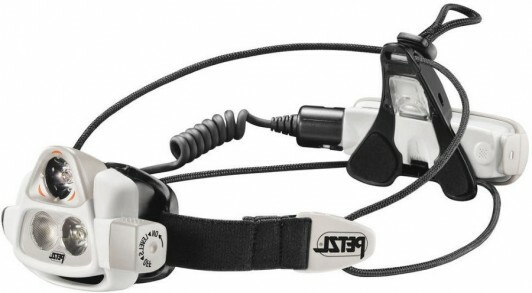 Very cool running head torch that automatically adjusts its beam depending on how close what you are looking at is. Outputs an amazing amount of light, and is surprisingly comfortable to run with. 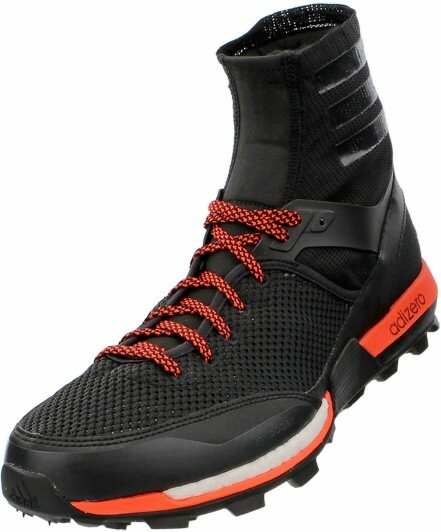 awesome website, do you wear the S-Lab on all runs and do you do much trail as thats what i am looking at getting into.